This design was inspired by a trip to Hawaii, and all the time I spent snorkeling in awe of life under the sea. 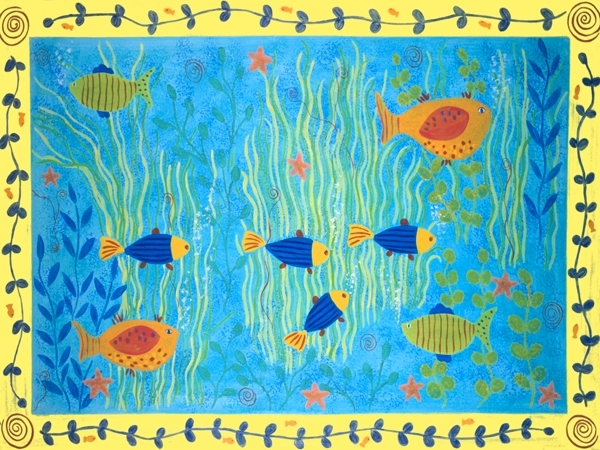 A wonderful, tropical design with blue, orange and lime green fish swimming amidst sea plant life in turquoise waters with a yellow decorative border. Bring life under the sea into your tropical home!